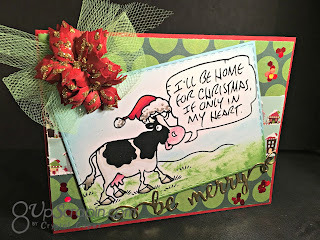 I Brake for Christmas !!! 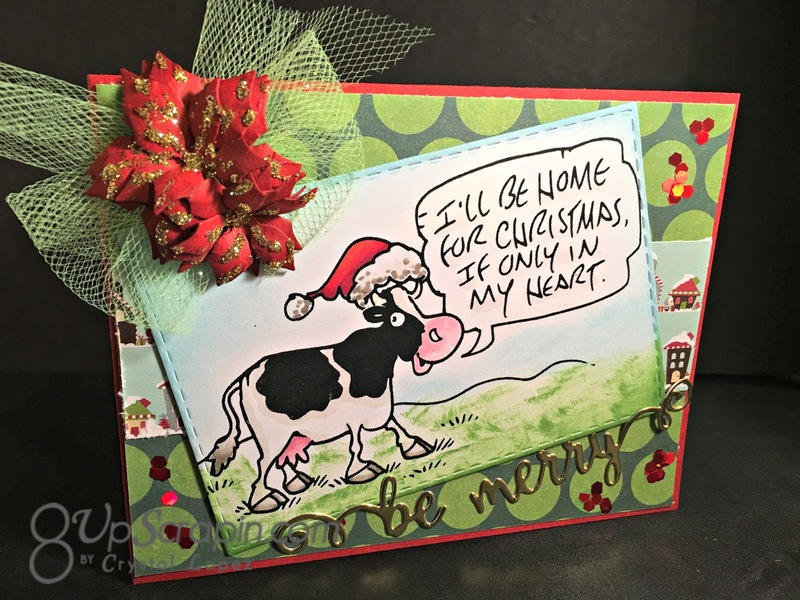 You are here: Home / Scrappy / I Brake for Christmas !!! 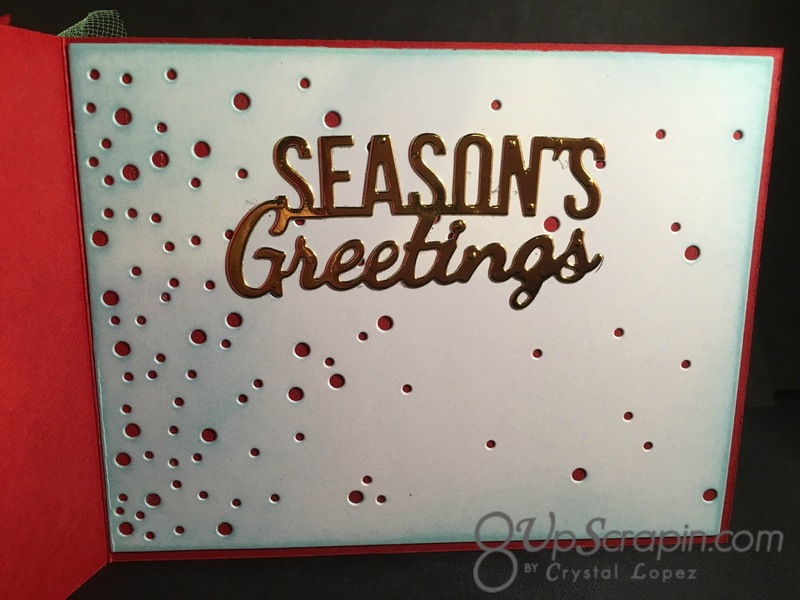 It’s Crystal here and I am back with a cute Christmas card as promised . 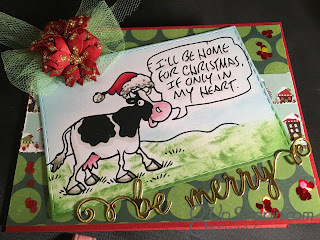 Christmas is right around the corner so it’s time to start making those Christmas cards , the image I am using today is called I’ll be Home, it’s a digital stamp and that means you can get this right away and start making cards . I just did a little copic coloring , I used distress inks to ink the edges tumbled glass for sky and mowed lawn for the grass . 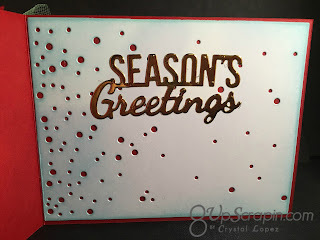 I added a gold foil sentiment and die cut and inked some poinsettia’s and added gold glitter and tulle bow.